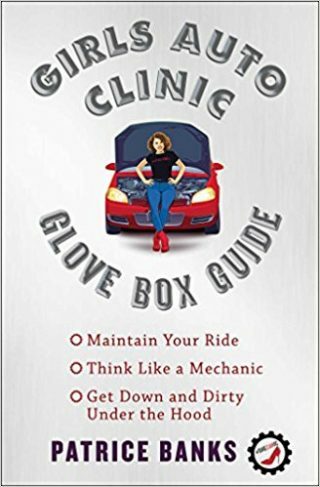 Patrice Banks’ Girls Auto Clinic Glove Box Guide is just the kind of book my father wished I’d had when I got my first car, and second, and third, and so on. Instead of calling him up or bringing my car to my parents’ house every time I had an indicator light come on or I heard a new rattle or thump, I could’ve referred to this book and maybe even have found an easy fix I could do myself. 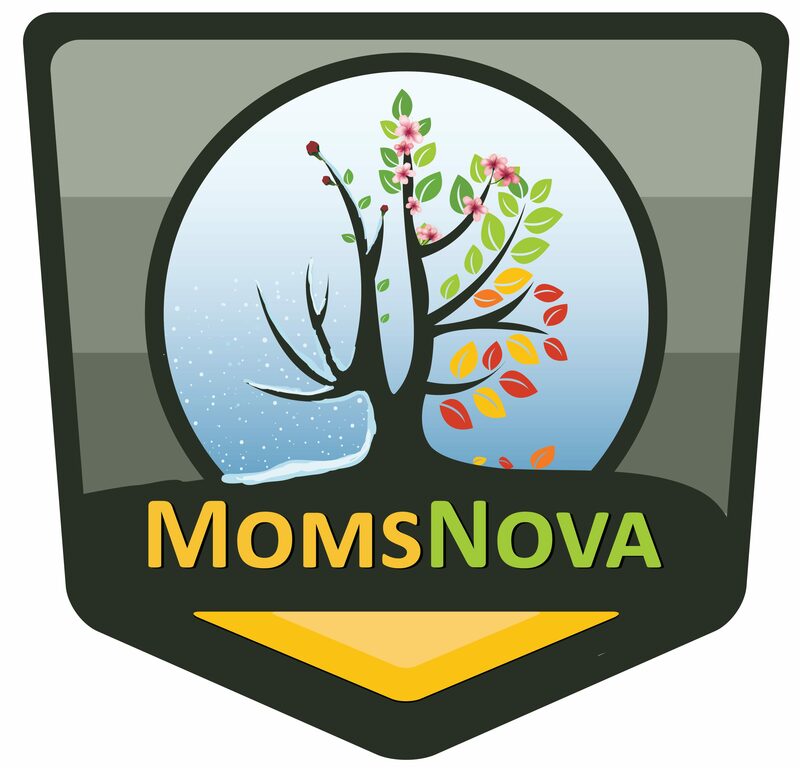 The guide aims to help women who are not mechanically minded to never feel powerless again by learning to maintain their ride, think like a mechanic and learn the basics so they can get down and dirty under the hood. The sassy and casual tone of the book makes it fun to learn things like what you can and can’t touch, the meaning of all those lights on your dashboard and which ones you can ignore, how to change a flat tire, correctly jumpstart a car, and first aid for your engine if it overheats. 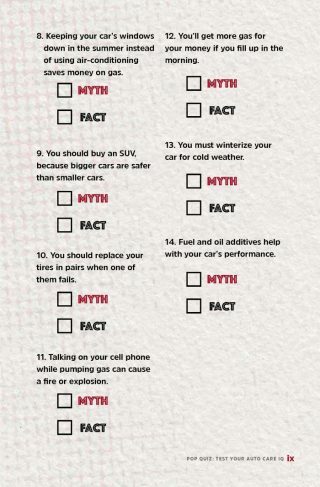 Tips also include the signs when it’s time to get a new vehicle. 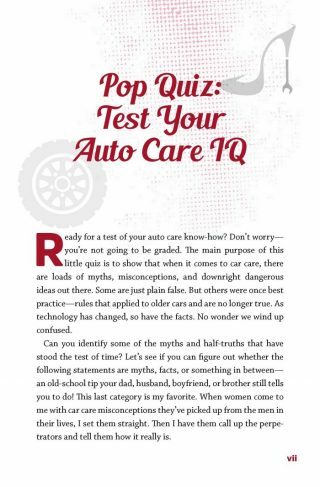 The book has lots of easy-to-follow instructions with illustrations, tips, tricks and information that the author says every woman must know about her car to make her a confident driver and smart consumer. 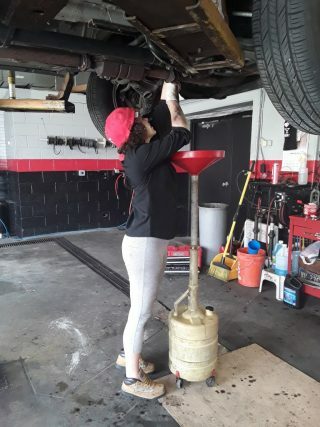 Banks, the founder of Girls Auto Clinic, worked for 12 years as an engineer and then went back to school to learn auto repair and began leading car care workshops. She now runs an auto repair shop/salon outside Philadelphia staffed by female mechanics. Girls Auto Clinic is published by Simon and Schuster, available on Amazon in paperback for $17. Reblogged this on Warrenton Life.